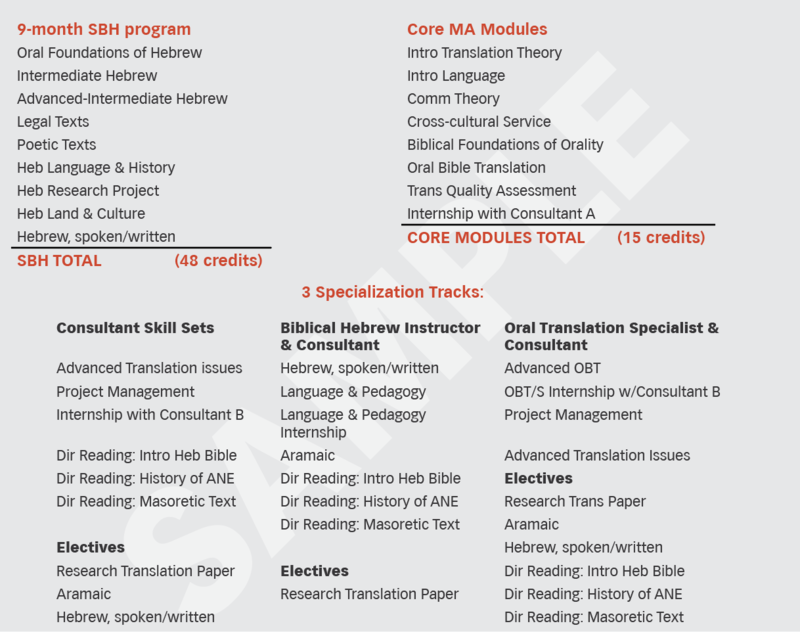 The MA in Classical (Biblical) Hebrew and Translation is a 2-year, consultant training program consisting of source language and consultant skills training modules. This 80(+/-)-credit program consists of a 12-month residence in Jerusalem (School of Biblical Hebrew plus 1 additional quarter), and up to 12 months of supervised field internship coupled with remote learning courses. 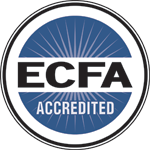 This course is in the process of being submitted for full accreditation. Consultant skill sets: In recognition of the facts that 1) participants will enter the program with varying backgrounds and expertise in the field of translation, and 2) the need to optimize the learning opportunities unique to the context of the Land of the Bible, course offerings will range from Semitic languages to Communication Theory (Semantics, Metaphor, Pragmatics, Discourse, and Relevance Theory), Translation Quality Assessment, and Advanced Translation Issues. Biblical Hebrew instructor & consultant: Individuals who plan to focus on developing Hebrew training programs for their agency to serve a region/nation can take additional advanced Hebrew and pedagogy courses to further prepare them to teach Biblical Hebrew. Oral translation specialist & consultant: Those who will serve in highly oral contexts can take courses in orality for oral Bible translation and Scripture engagement. The nature of the internship may vary depending upon the specialization of the participant, the local translation context, and the agency requirements. To illustrate, acceptable internships may include (but are not limited to) both textual and oral Bible translation projects, or development of a Biblical Hebrew extension training program. During the Internship students will be mentored by a Translation Consultant or qualified senior supervisor. In addition to the field internship participants will take courses offered remotely in order to complete the requirements of the MA and to qualify as a Translation Consultant and/or Biblical Hebrew Instructor. Remote courses may either be concurrent with, or supplemental to, the internship depending upon the duration of the internship and the timing of course offerings.